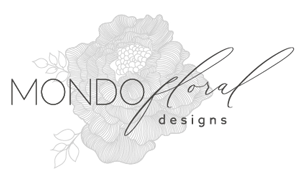 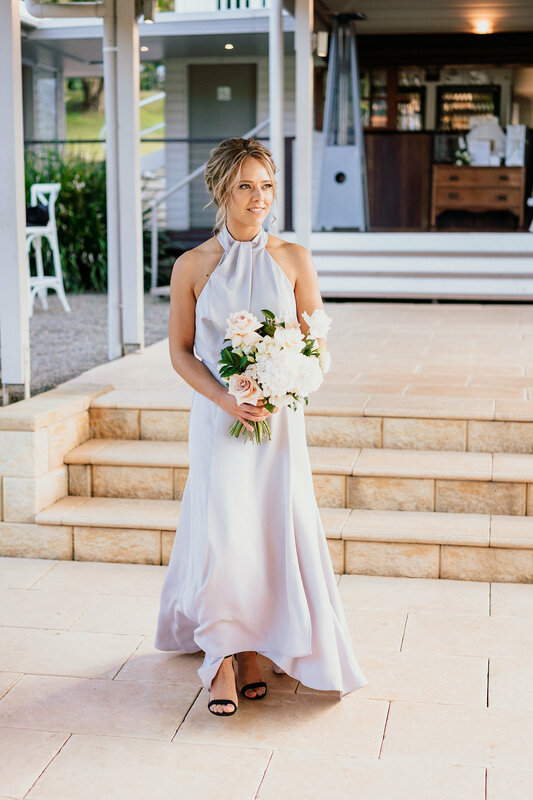 Elegant modern inspired floral style was the brief from Katie for her wedding flowers concept. 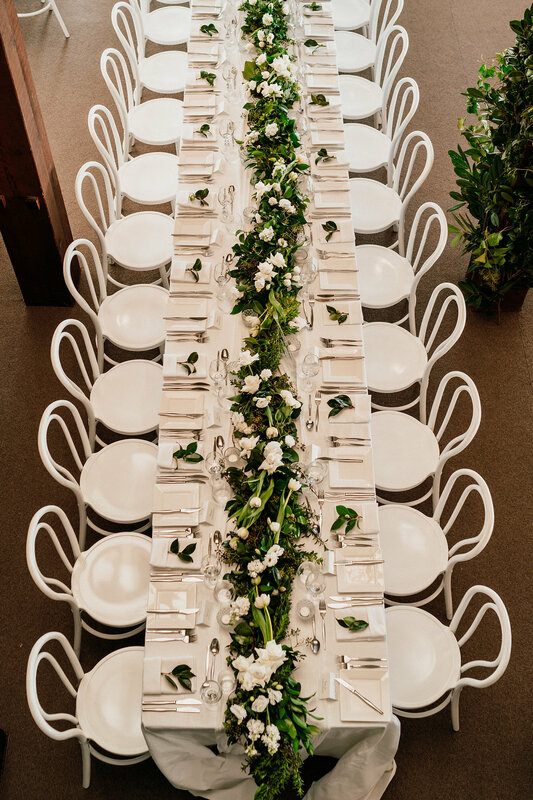 Cool whites partnered seamlessly with gorgeous earthy pink tones and lush darker green foliage’s. 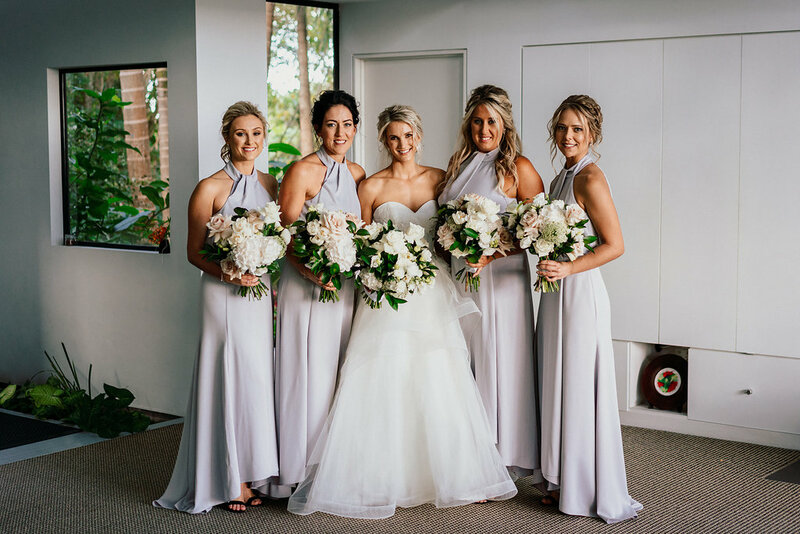 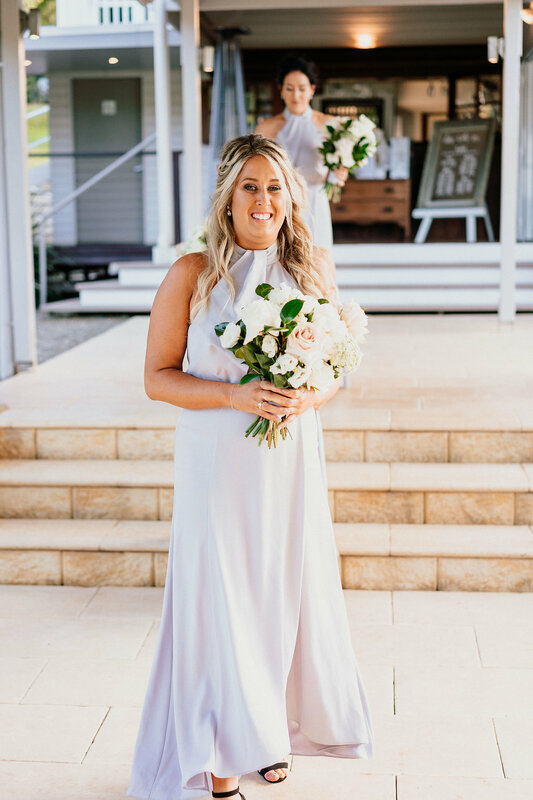 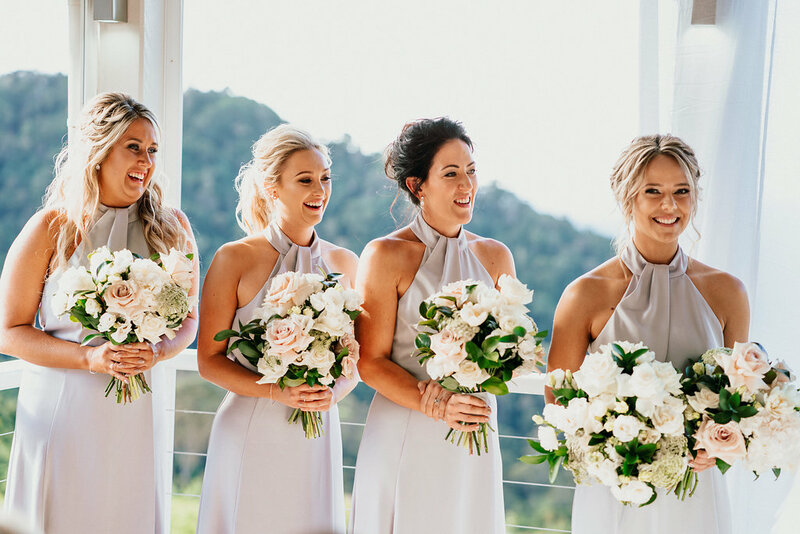 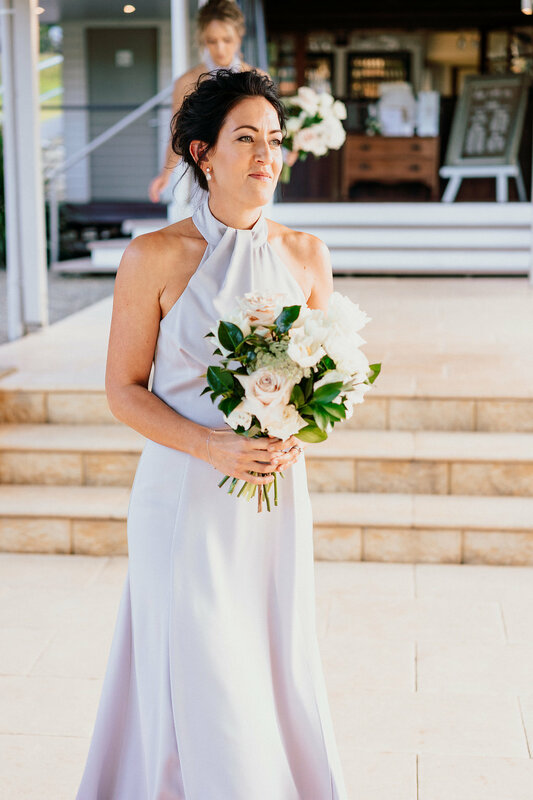 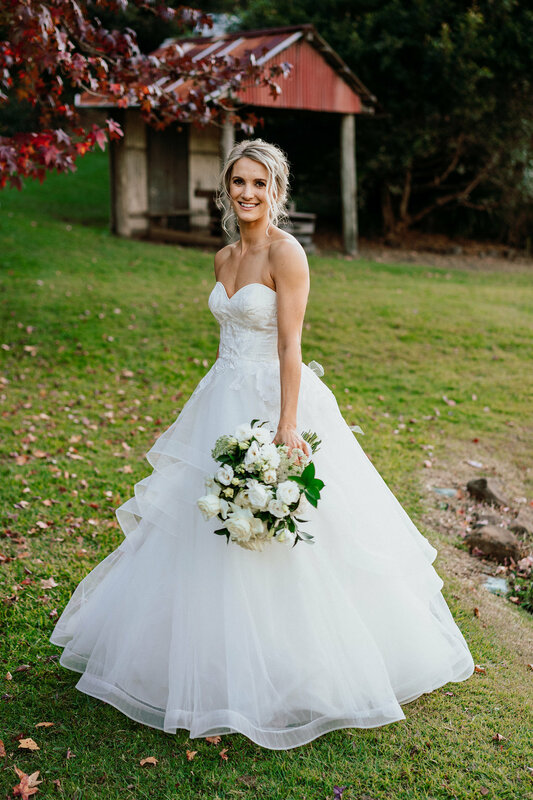 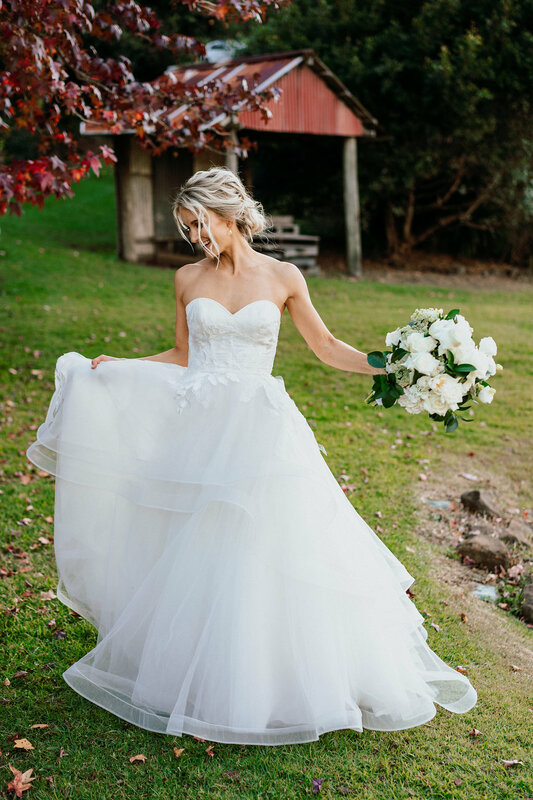 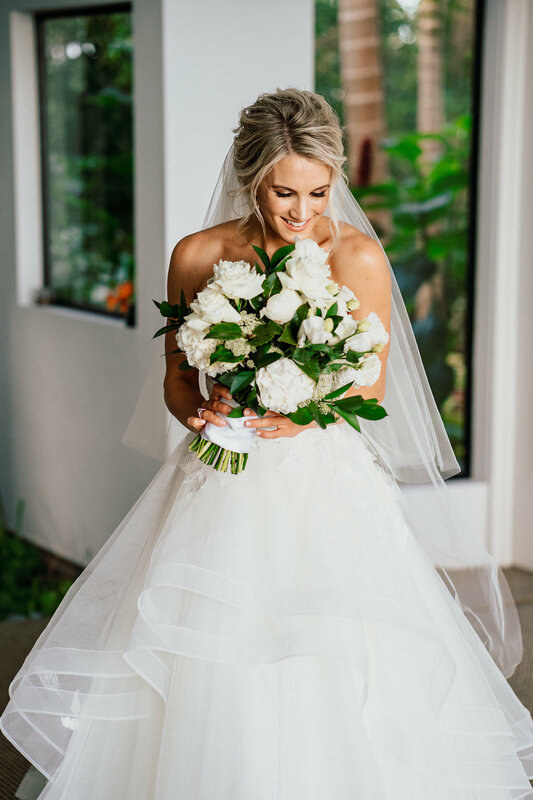 We created a full bloom hand held gathered bouquet design for our gorgeous bride, with an elegant structure and varying levels of whites. 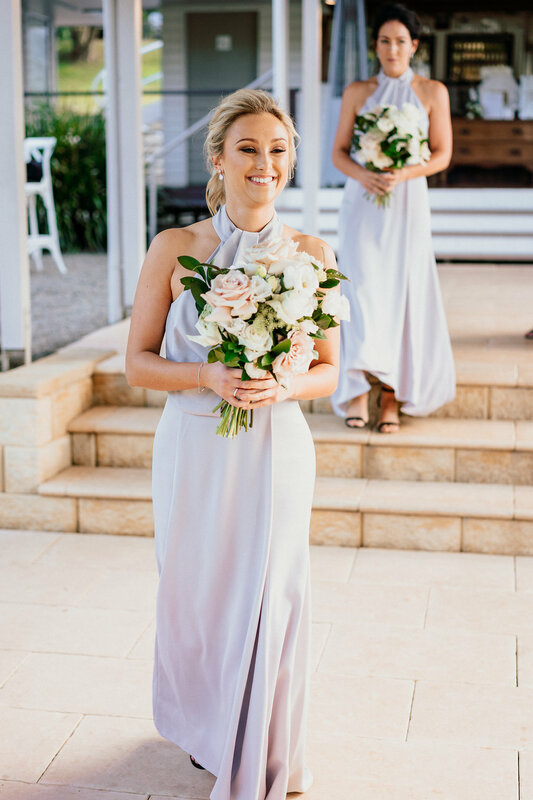 Small touches of earthy pink tones featured in the bridesmaids bouquets, adding a warm texture to the designs. 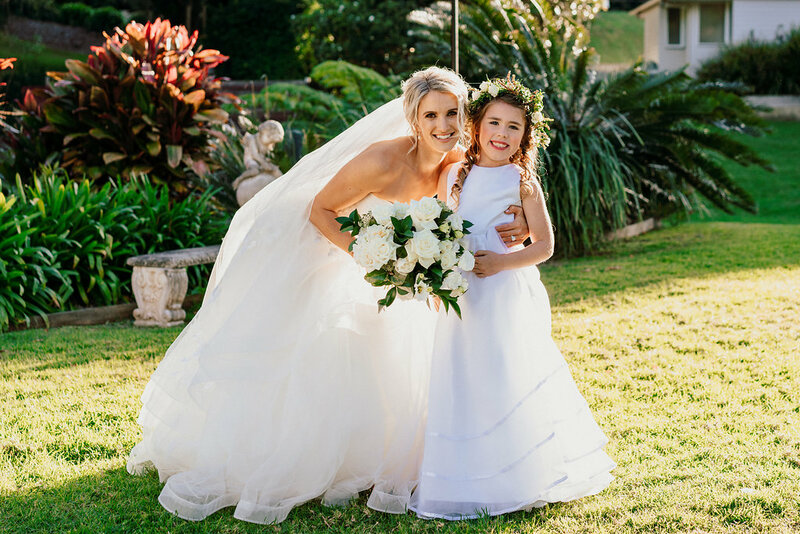 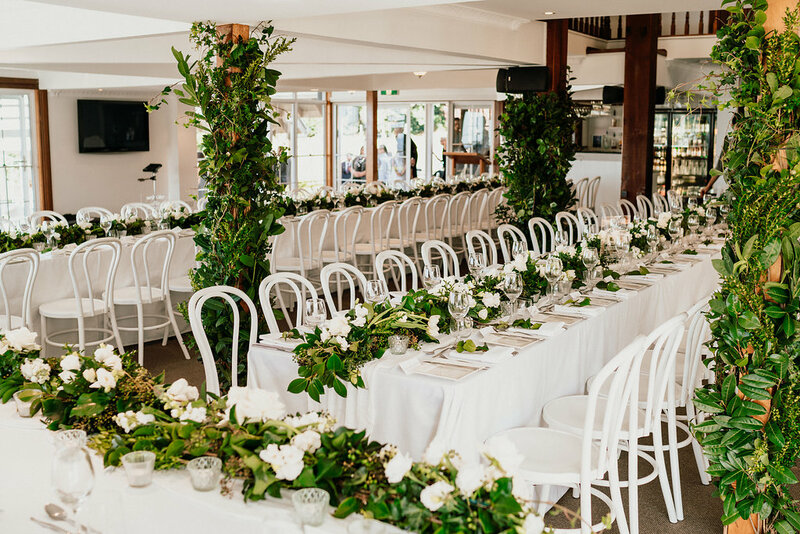 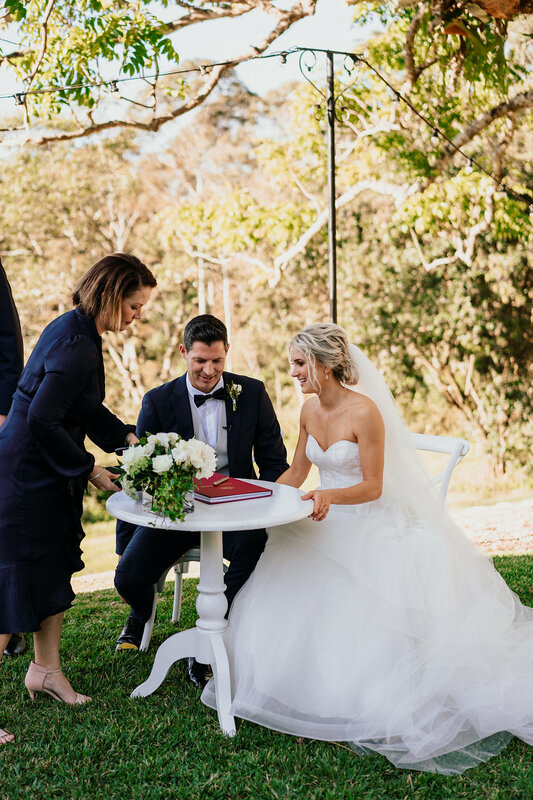 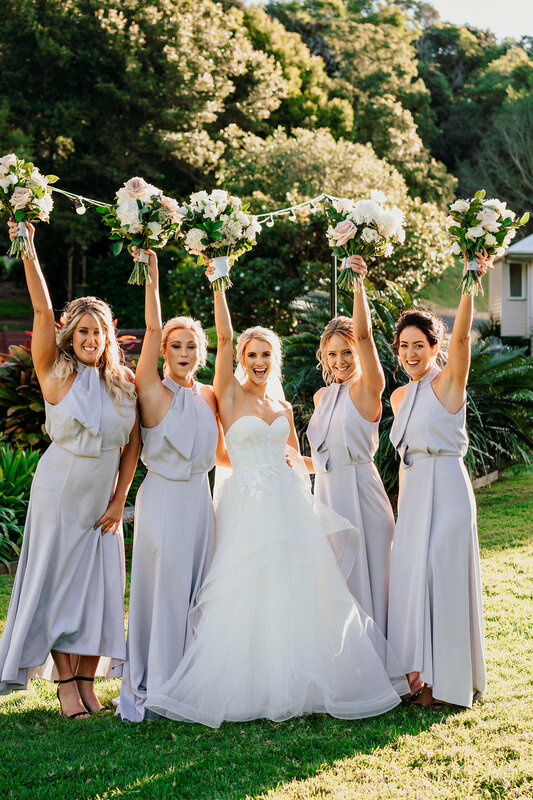 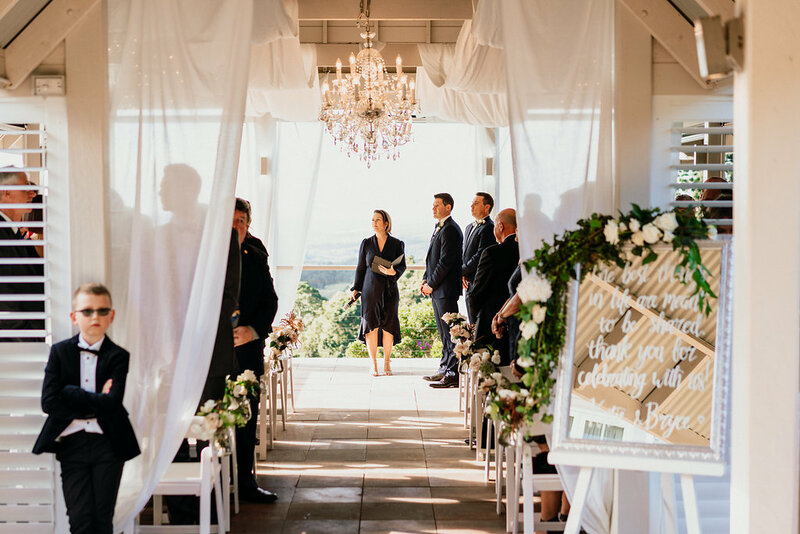 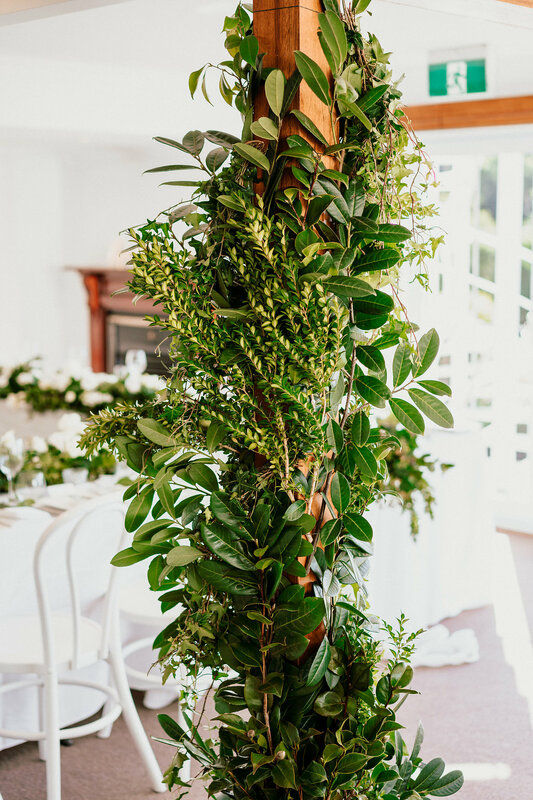 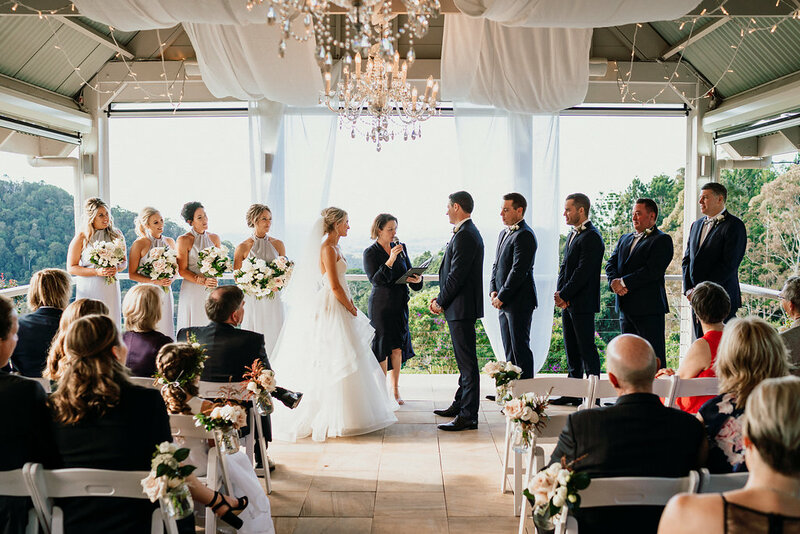 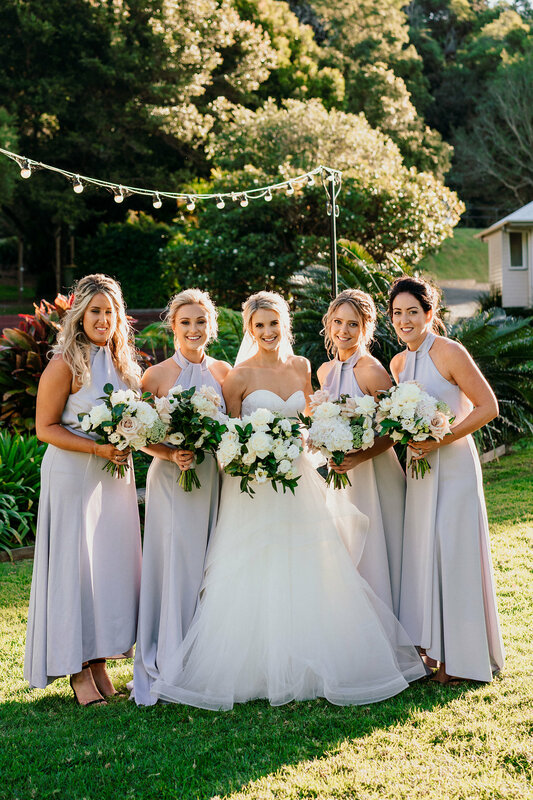 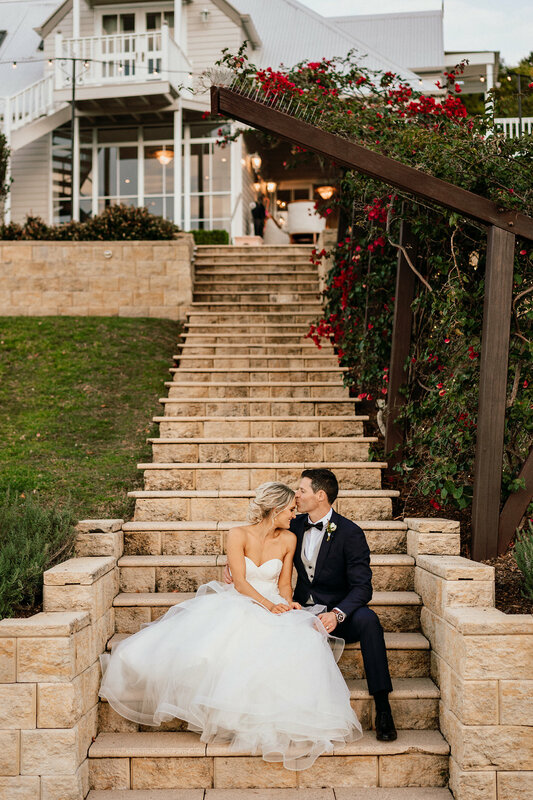 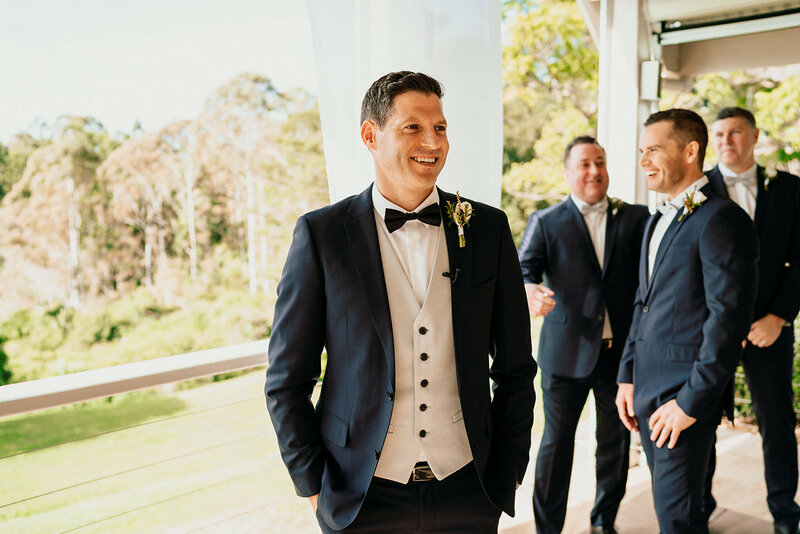 The stunning reception at Maleny Manor featured gardenesque floral style, with greenery poles making a statement and bringing the outdoors in. 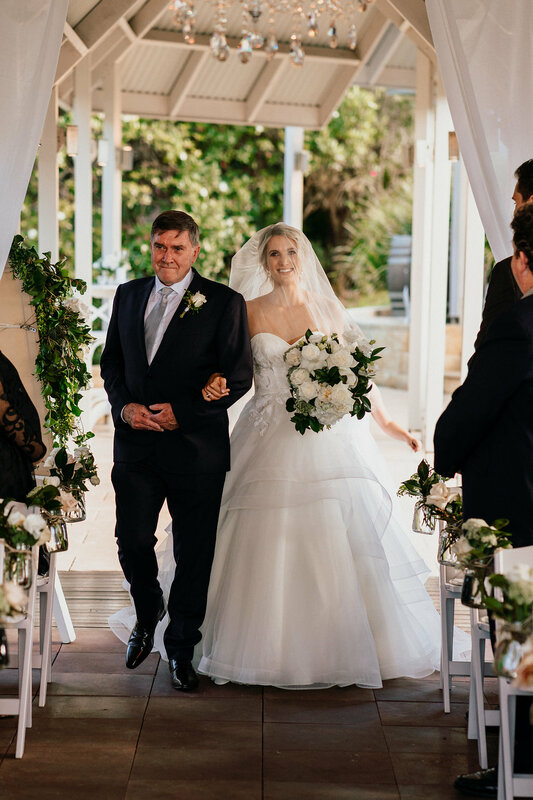 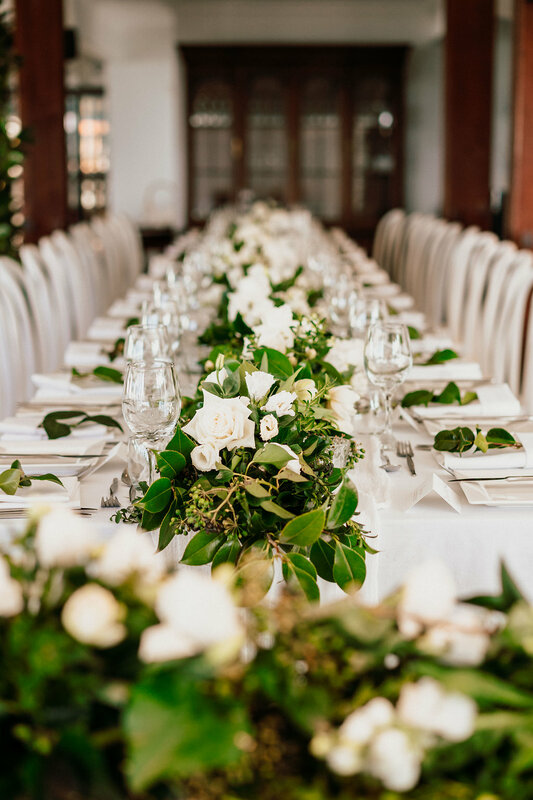 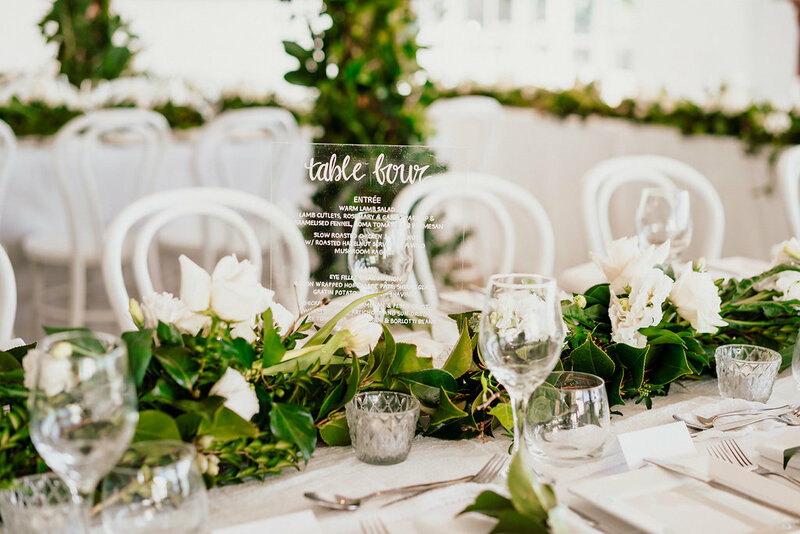 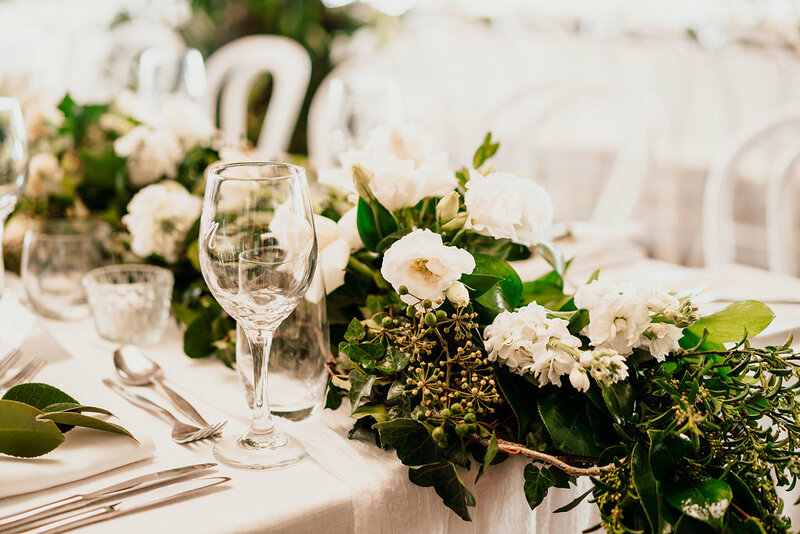 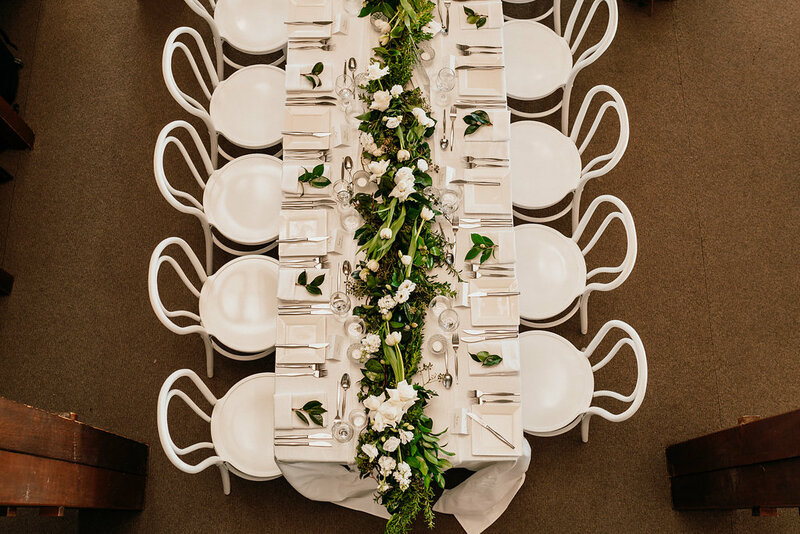 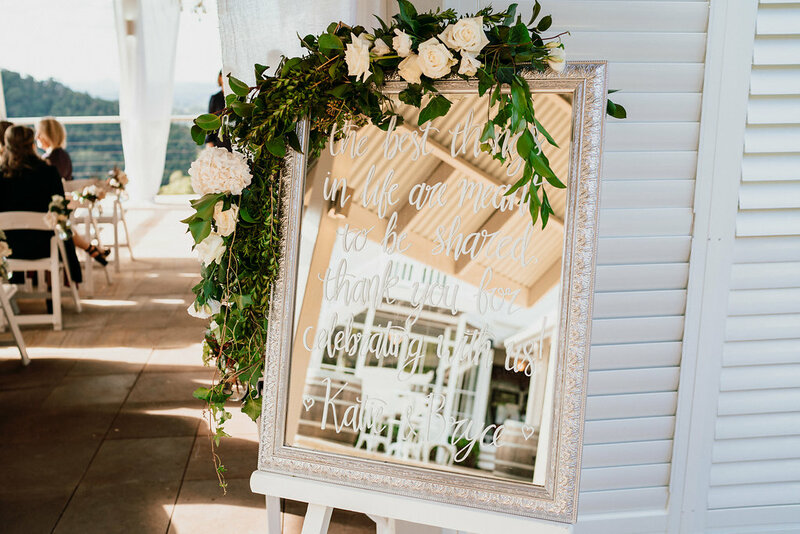 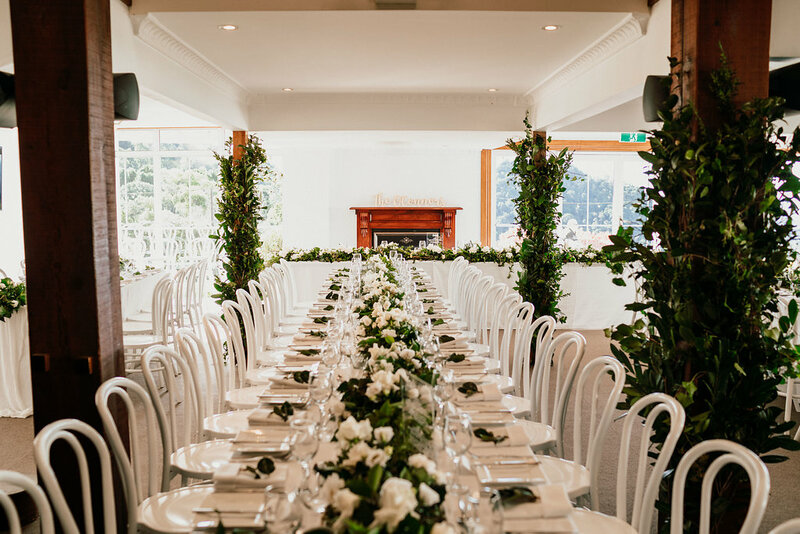 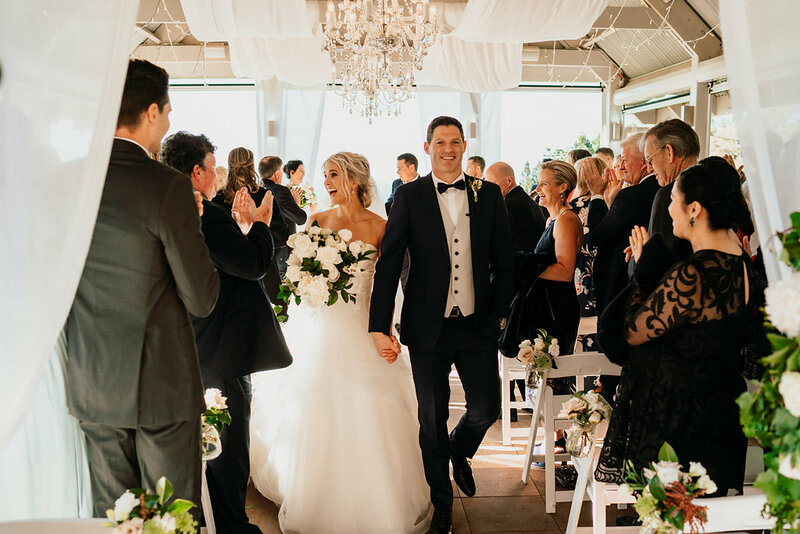 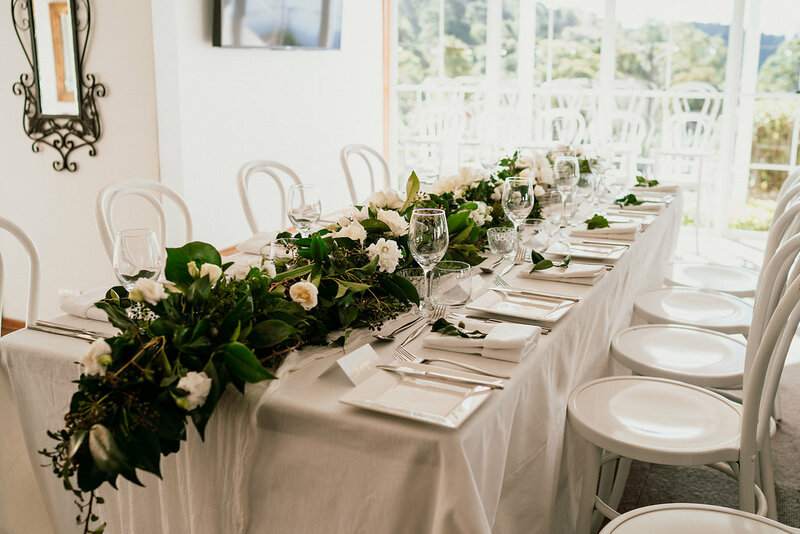 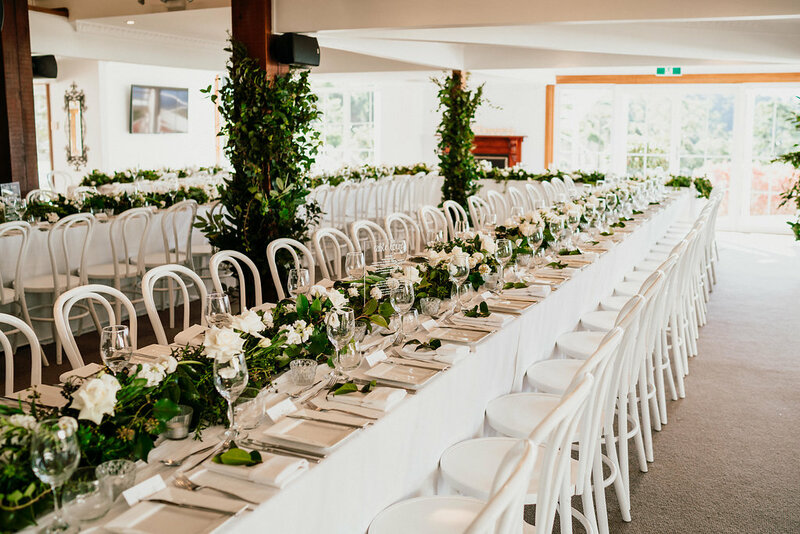 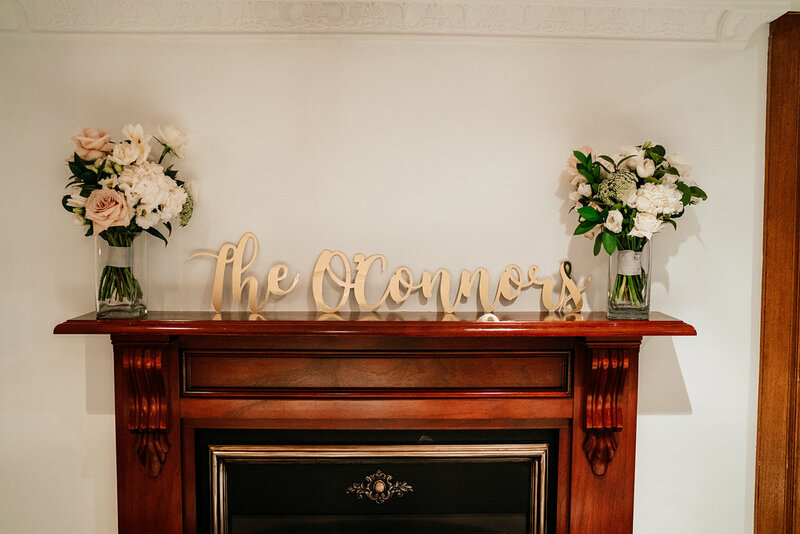 The long dining tables featured lush floral and foliage garlands and created the romantic elegant floral concept that our loved up couple were searching for. 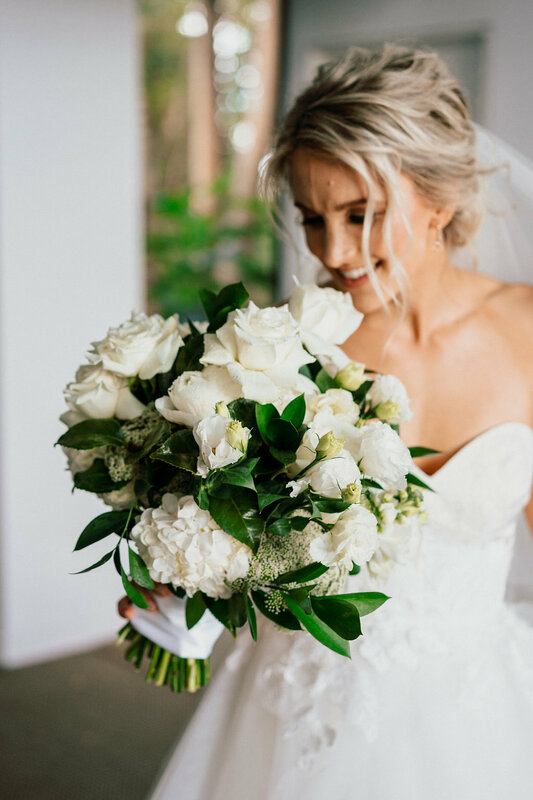 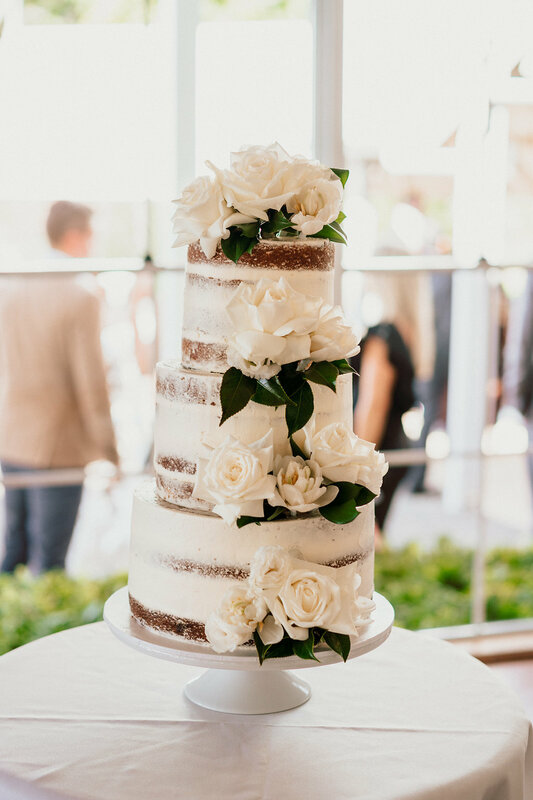 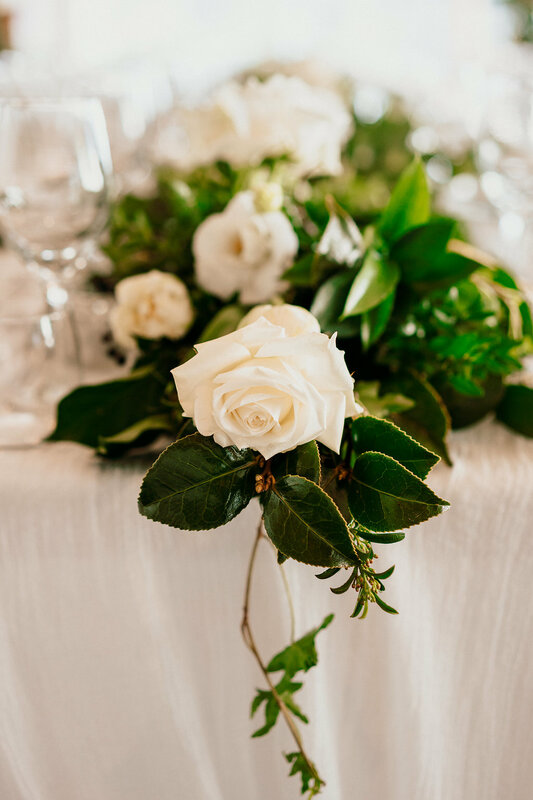 The floral blooms included hydrangea, roses, ranunculus, lisianthus, ranunculus and those dreamy earthy pink Quicksand roses, winter wonders, and just so beautiful. 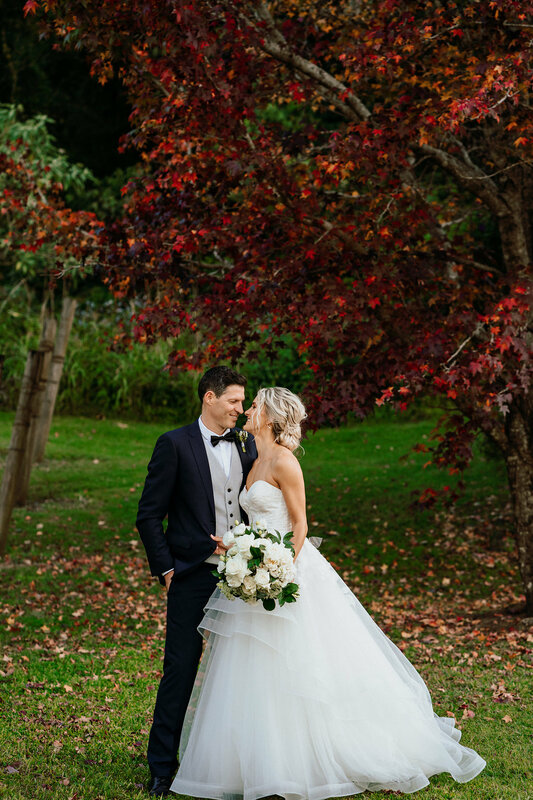 Who says winter blooms aren’t beautiful….. certainly not us!! 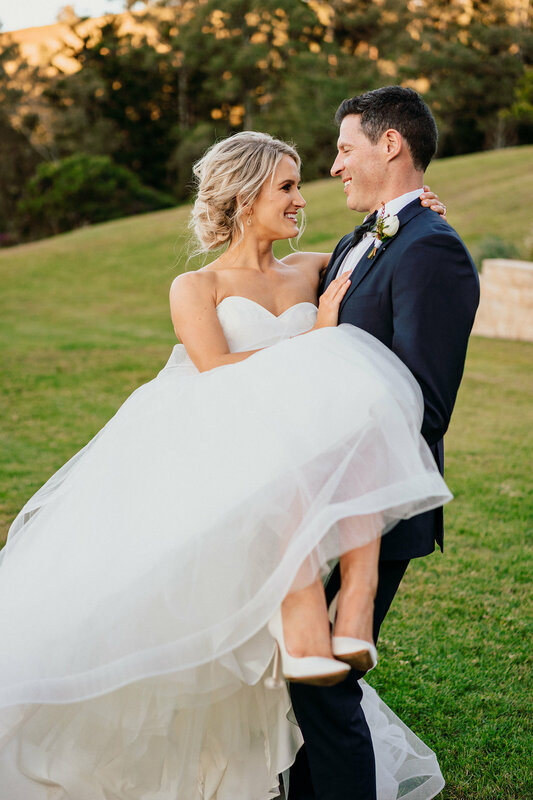 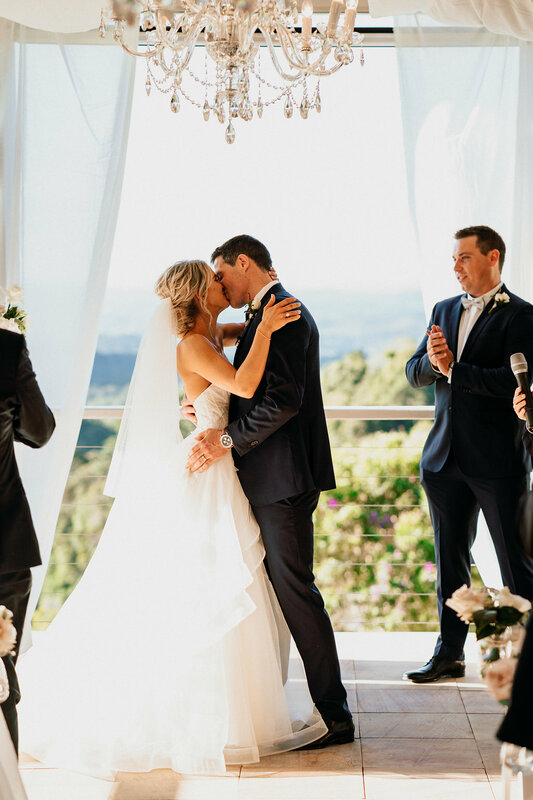 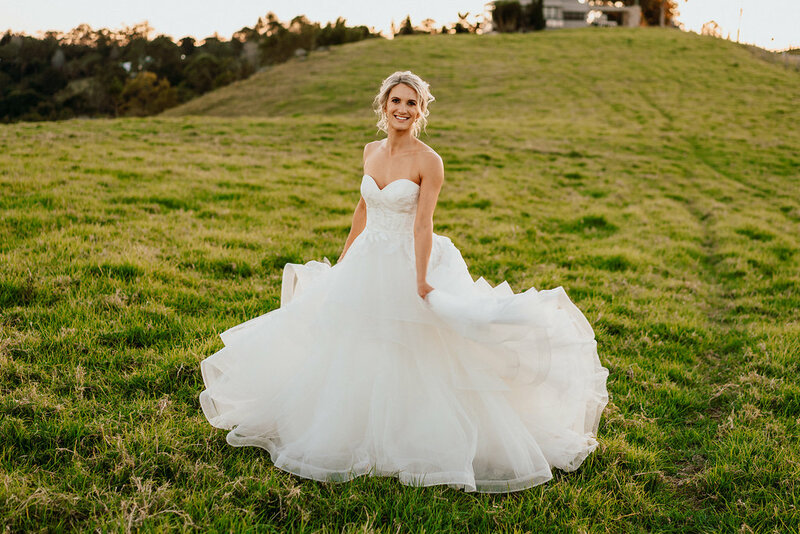 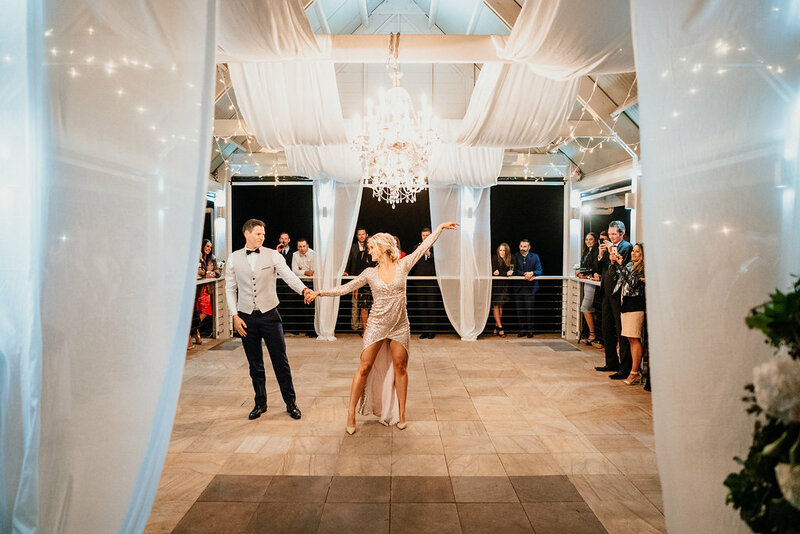 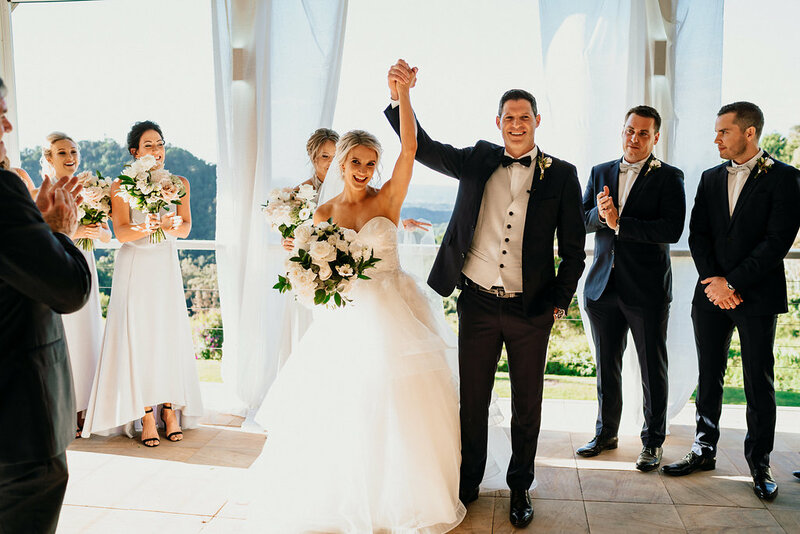 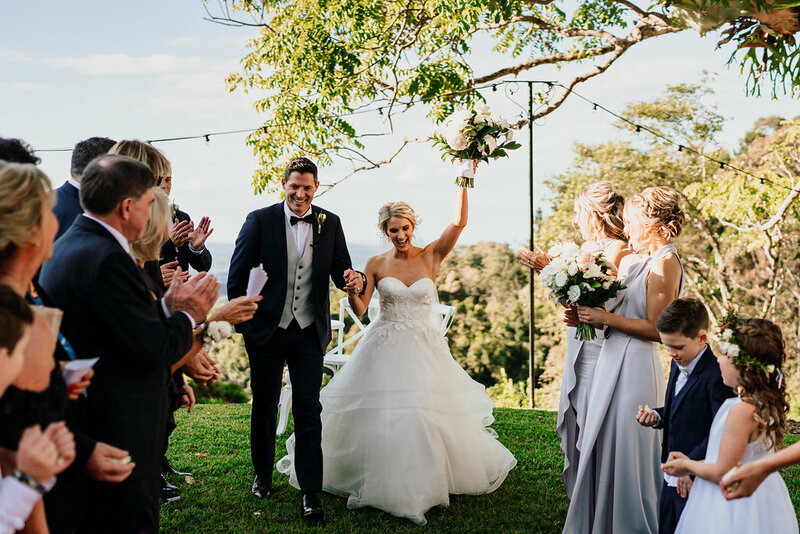 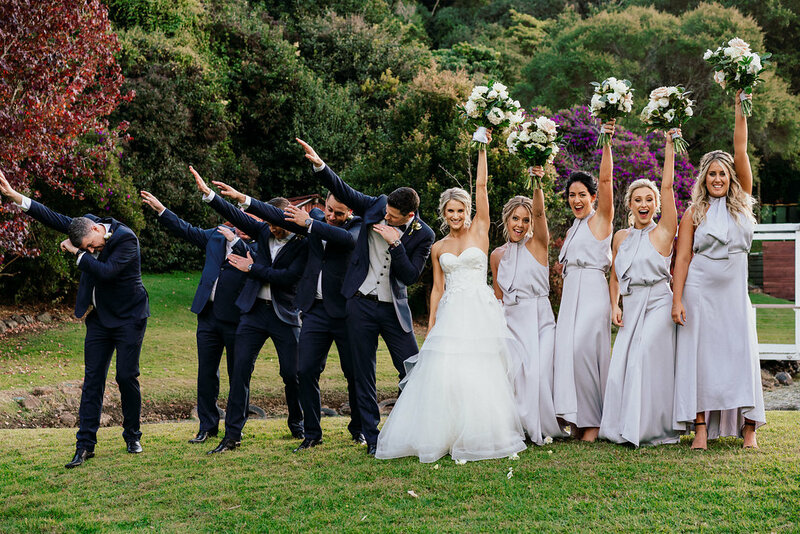 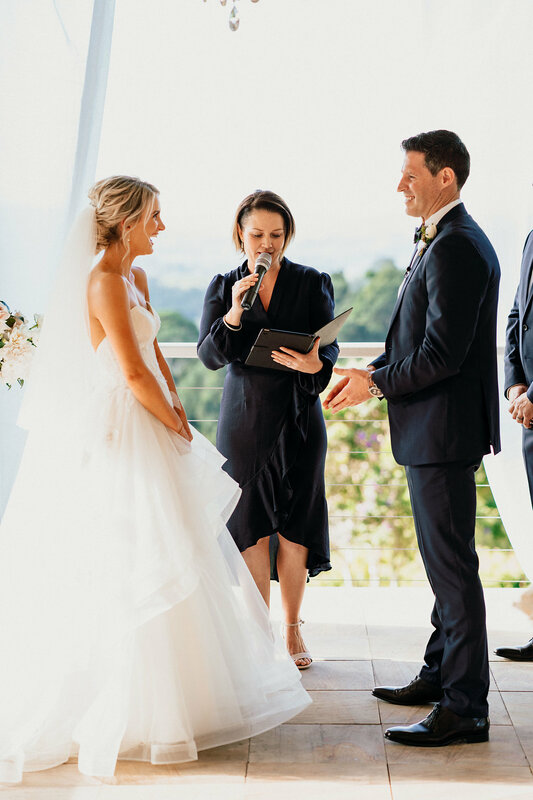 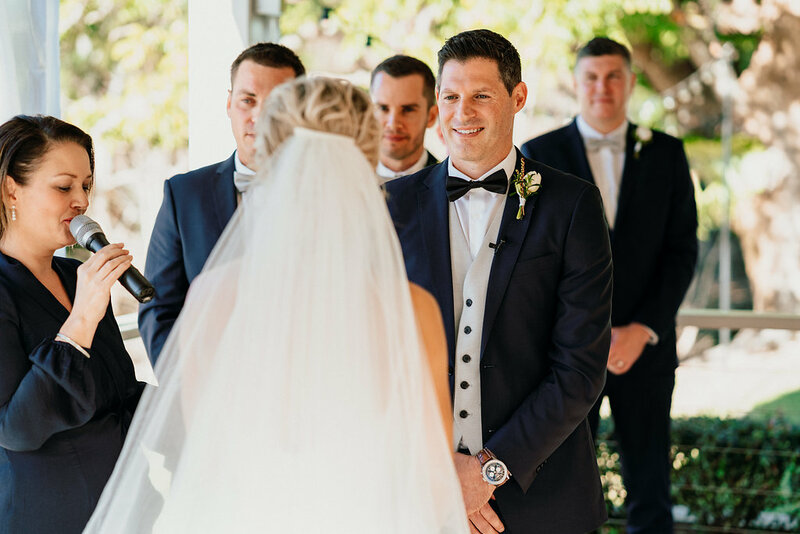 Katie is a professional dancer, and her after wedding dance moves were an incredible part of their wedding celebrations. 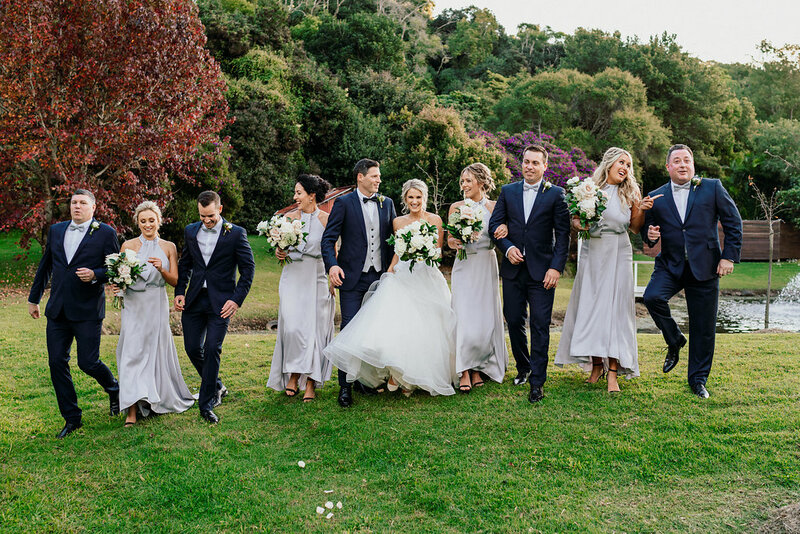 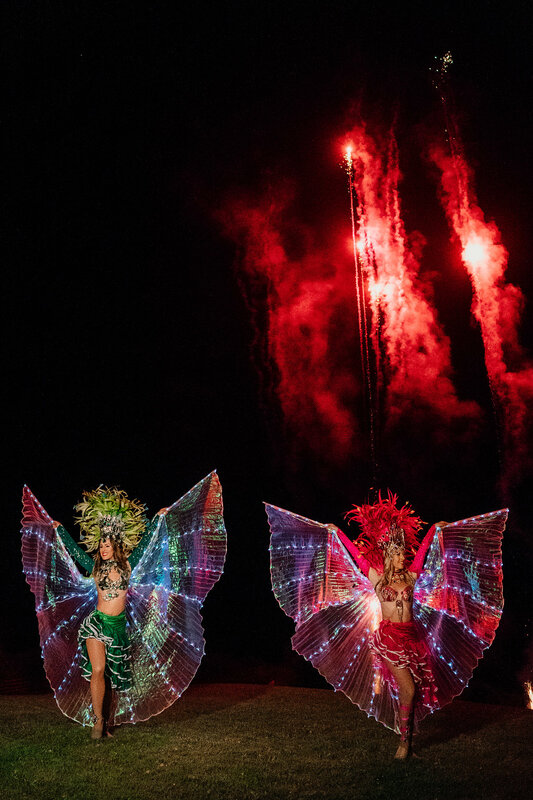 How gorgeous are those dancers also, such a stunning conclusion to a beautiful wedding story. 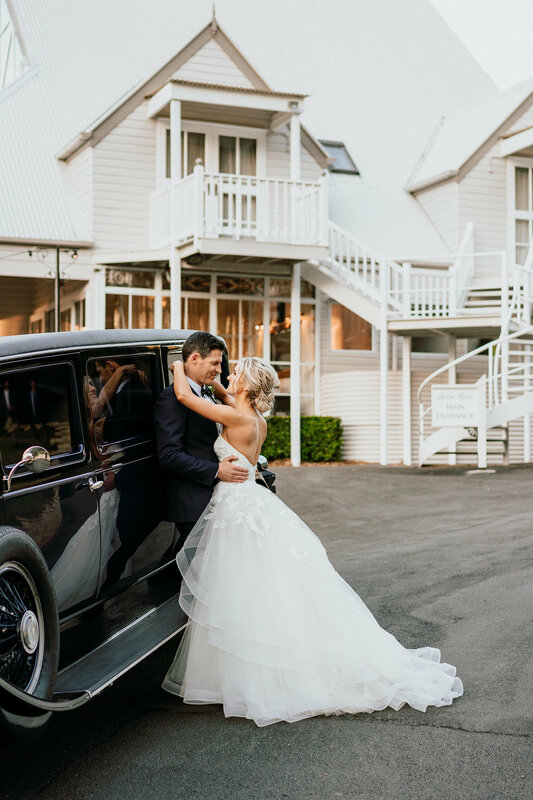 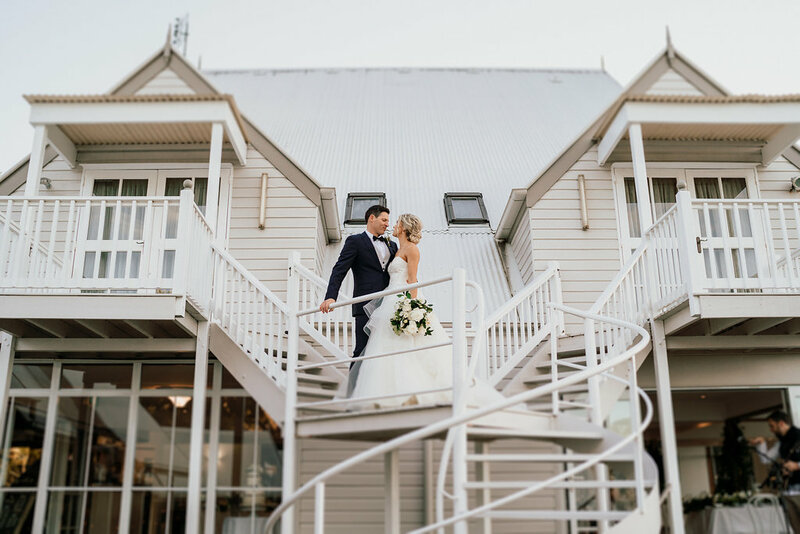 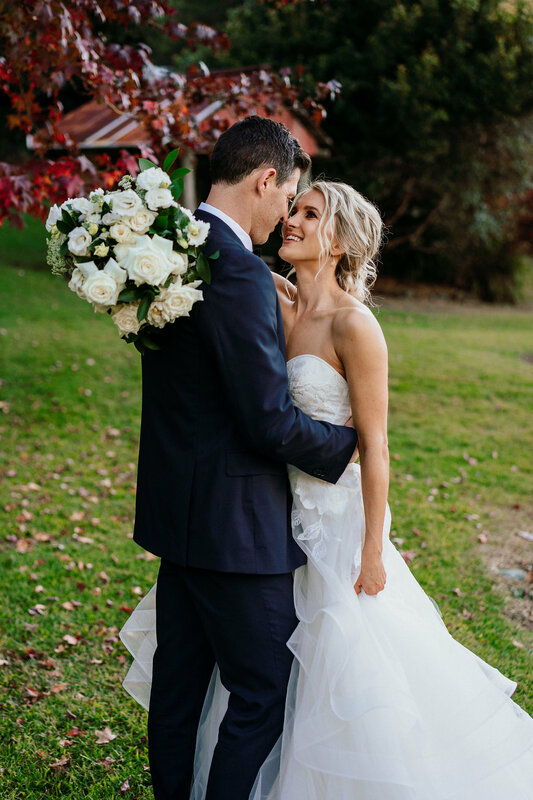 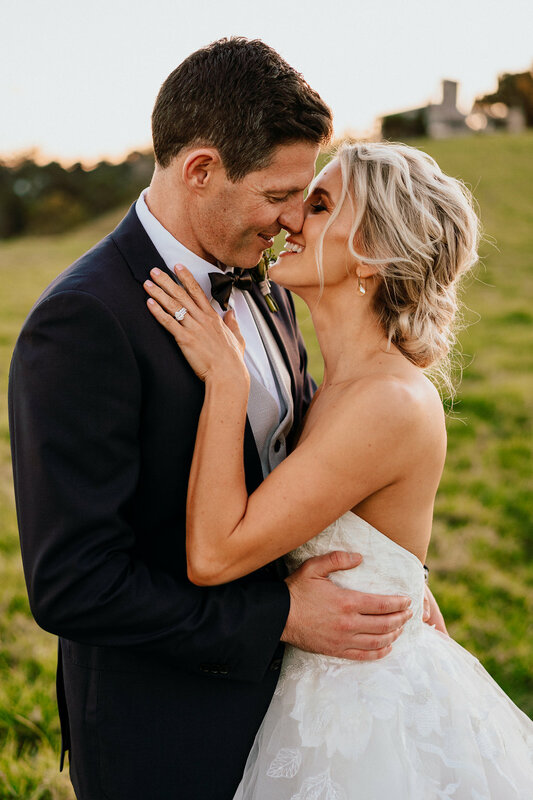 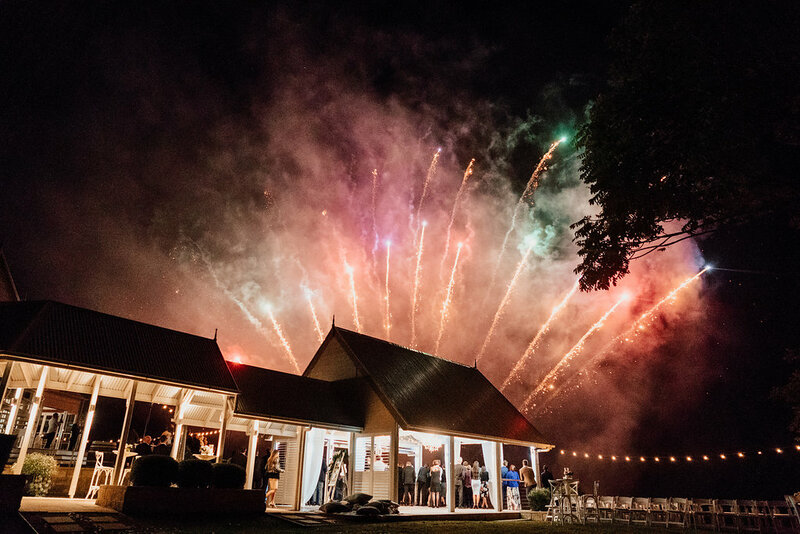 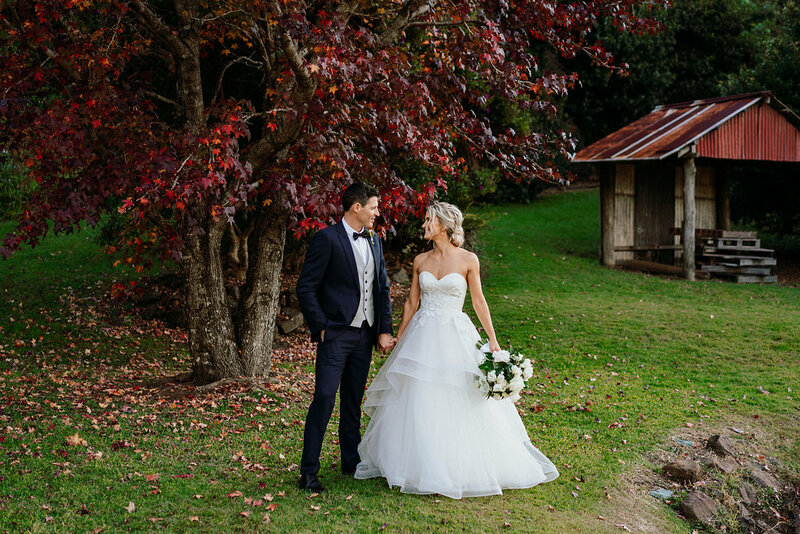 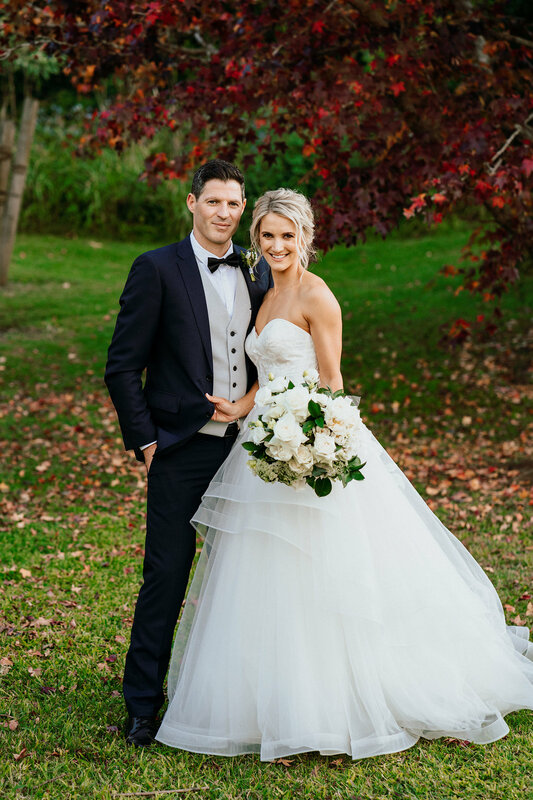 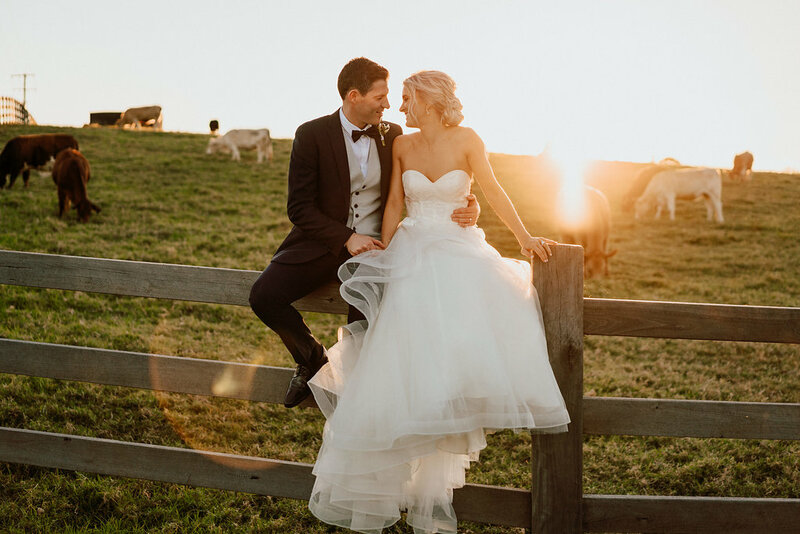 Congratulations Katie and Bryce, we loved everything about you two, and your gorgeous wedding style.